Healthy Breakfast Info. from Healthy Diet Habits. 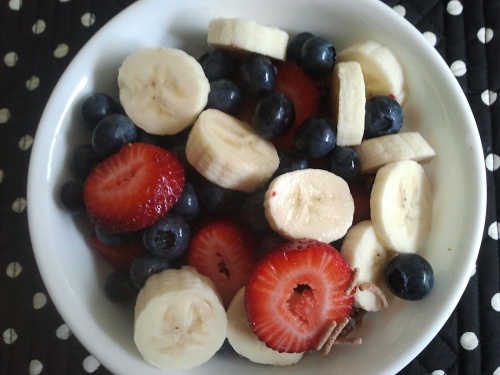 Start the day with a healthy breakfast! That is the one healthy diet habit that everyone has heard. Talk over! Seriously though, you know this, but many of you still don’t eat breakfast. Meal skippers are most likely to skip this meal. You should hear the excuses! I don’t have time, and I am trying to save calories, so why should I waste them when I am not hungry (non-educated eater)? Researchers have shown over and over again that people, who eat breakfast, eat less the rest of the day! In fact, you will eat 100 calories less per day, which is a 10 pound savings for the year. So if you eat 300 calories for breakfast, you will save 100 calories. That is a deal! Waiting more than 90 minutes to eat breakfast, greatly increases your chances of being obese. In fact, skipping breakfast increases your chances of being obese by 450%! Never skip breakfast ever again! You will fuel your metabolism, so it works faster. Burns more calories. That’s what you want! You will experience food cravings if you skip breakfast, because your body needs fuel. Cravings are usually for your comfort foods which are caloric. 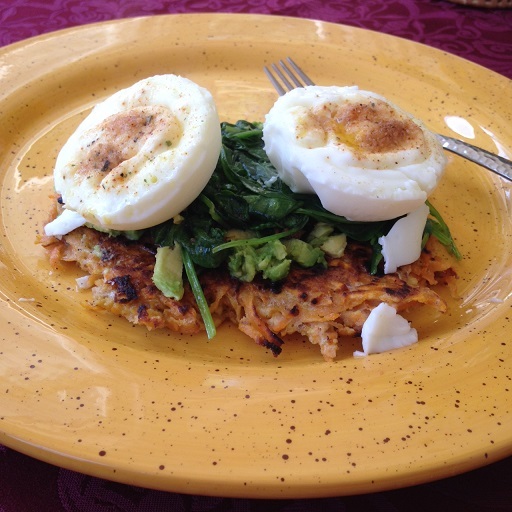 Poached Eggs over sweet potato hash browns and sauteed spinach! These facts should make everyone run to the breakfast table! And I mean run! Who wants to be obese from an unhealthy diet habit that is so fixable? The one thing you don’t want to do is turn breakfast into the typical carb-fest. Don’t start your day with juice, a bagel, sweetened cereal, donut, muffin, processed carbohydrate choice, and coffee. This will cause your blood sugar to skyrocket, then crash an hour or so later. You will feel, shaky, irritable, and won’t be able to concentrate. You will be really hungry, too! Ever heard people say that when they eat breakfast, they are hungrier? That’s why! Okay.....you are ready to finally adopt the Lifestyle Solution of eating a healthy breakfast. What are some healthy breakfast ideas and some healthy breakfast cereals to eat?